TORONTO (July 9, 2014) – NHL player Dominic Moore, forward for the New York Rangers, is proud to announce the third annual Smashfest – a fan-inspired event designed to showcase NHL players’ ping-pong skills while raising money and awareness for two important causes: concussions and traumatic brain injuries; and rare cancer research and advocacy. Tickets for the 2014 event are on sale to the public at www.Smashfest.ca. “Ping-pong is the theme of the night, but it's really just a party. 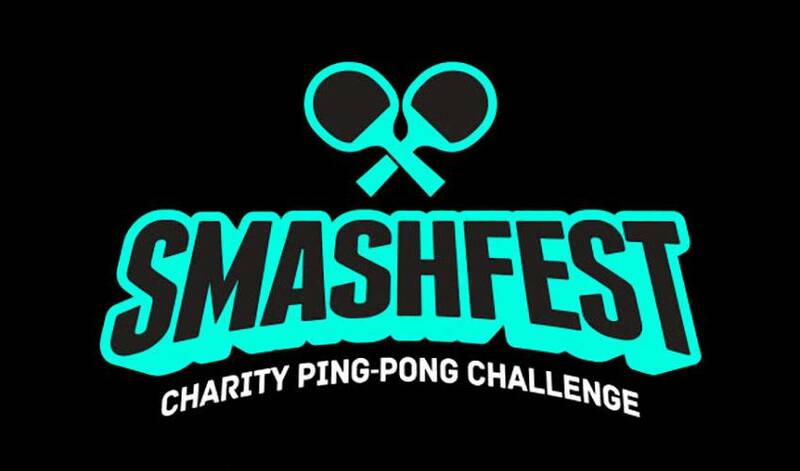 Smashfest brings NHL players and guests together in a festive, fun atmosphere while supporting two important causes – research for concussions and rare forms of cancer,” said Dominic Moore, Smashfest host and New York Rangers forward. WHO: Dominic Moore (Host), and current / former NHL players including Brian Boyle, Derick Brassard, Alex Burrows, Mike Cammalleri, David Clarkson, Logan Couture, Michael Del Zotto, Justin Falk, T.J. Galiardi, Mike Johnson, Curtis Joseph, Kevin Klein, Chris Kreider, Nick Kypreos, Steve Mason, Shawn Matthias, Jeff O’Neill, Teddy Purcell, Zac Rinaldo, Tyler Seguin, Jeff Skinner, Cam Talbot, Chris Tanev, Stephane Veilleux, Kevin Weekes and Ryan Whitney are scheduled to participate, along with more "ping-pong free agents" to be named later! Through this one-of-a-kind event, fans attending Smashfest will have the opportunity to square off at the ping-pong table against NHL players; the chance to meet and interact with some of their favourite hockey players and other celebrities; and will be able to bid on one-of-a-kind silent auction items and prizes, while helping raise money for charity. Limited tickets are available to this intimate event, so they won't last long. To join Dominic and the participating NHL players for this exciting night, go to www.Smashfest.ca for more details.